Subsequent to the release of the Federal Polytechnic Idah ND Admission List and HND Admission List, the management of the institution released the guidelines for the payment of acceptance fee and registration for the 2018/2019 academic session. Federal Polytechnic Idah Acceptance Fee Payment & Registration Process. Registration for 2018/2019 Academic Session has begun. Newly admitted candidates for 2018/2019 Academic Session are to pay acceptance fee and accept offer of admission on or before 17th December, 2018. Any candidates who have not accepted admission after 17th December 2018 will lose the offer of admission. These are the steps for the payment of the ACCEPTANCE and SCHOOL FEES for 2018/2019 Academic Session. Admitted students are to pay the acceptance fee (N5,000.00) by generating the Remita Retrieval Reference (RRR) number from the polytechnic portal, http://www.myportal.fepoda.edu.ng/ and then proceed to any bank of your choice with the RRR Number to make the payment. Each student is expected to return the portal to Confirm the Payment after which he/she is allowed to print the ADMISSION/ACCEPTANCE LETTERS and FINANCIAL GUIDE. The student now PAYS SCHOOL FEE as stated in the FINANCIAL GUIDE by generating the Remita Retrieval Reference (RRR) number and taking to the bank of his/her choice for payment. Upon completing the payment in the bank, they are to return to the portal to Confirm the Payment and print Acknowledgement Slip. With admission letter printed, the student is required to go to admissions office to commence the registration proper with original copies of credentials/certificates and evidence of payment of fees. After this, a clearance slip will be generated for the departmental registration. Upon completing the departmental registration, return to the portal to Register and Print Course form before proceeding for the final submission of files at the admission office. See also: Federal Poly Idah School Fees Schedule – 2018/19 . NOTE: All NDI students are required to obtain and complete the school form at the rate of N5,500.00 through the same school portal before he/she is allowed to Register Courses for the Semester. 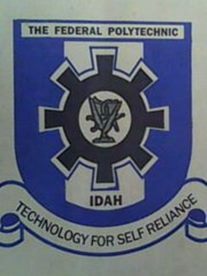 Federal Polytechnic Idah ND Admission List 2018/2019 is Out. EKSU Acceptance Fee & Registration Procedure 2018/2019 is Out.